All this film shows is a guy in a car. Driving and making calls on his phone. Sounds like nothing much but it’s actually a really good film! He’s basically trying to sort out a mistake that he made, at the same time juggling a big work project and keeping his marriage alive. Really worth watching. 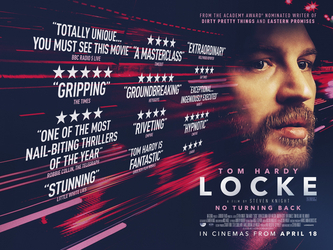 The actor Tom Hardy is doing a great job in this film. Apparently it was shot during only three nights. A Japanese animated film based on the life of the Japanese engineer Jiro Horikoshi who designed fighter planes for the Japanese military during the build up to World War II. The film starts with him as a boy and ends when he made one of the biggest breakthroughs in terms of aircraft design for Japan. While Jiro was passionate about flying all his life, he never wanted his planes to be responsible for the death of so many people. But his desire to design great aircrafts was stronger. A side story is how he meets and falls in love with his wife. Overall a really good film and a real tear jerker! The film was praised as the most beautiful and greatest animated film ever made. I haven’t seen a lot of animated films to compare it too but I liked it a lot. Super hero films are usually not my kind of thing but I thought I’d give this one a try. It also was an excuse to catch up with some people who I hadn’t seen for a while. Unfortunately, as expected, it wasn’t my thing. Basically the X-Men are people with special skills, like being able to predict the future, hearing people’s thoughts, moving very fast or controlling metal. 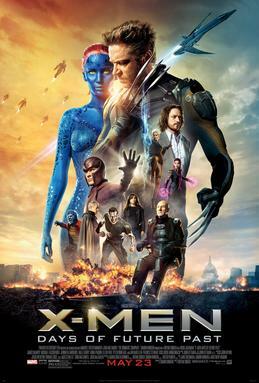 In this film they need to prevent a war between the ‘normal’ humans and the X-Men by going back into the past and therefore changing the future. My friends liked it, so I guess if you’re into super hero films, it probably was a good film. A documentary made completely out of British Film Institute (BFI) archive material, with a soundtrack by the band St Etienne, specifically written for this film. 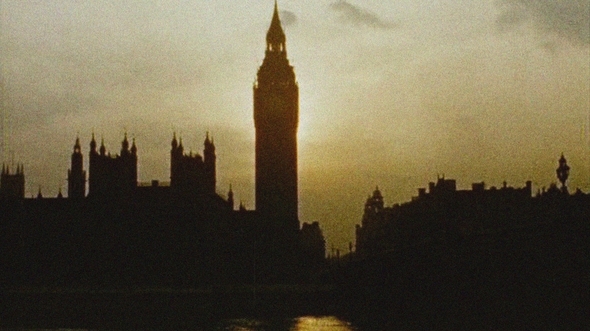 The film depicts life in London between the 1960s and 80s. This documentary isn’t aired in the standard cinema chains (yet). I saw it at the Southend Film Festival – in a room that was very warm and after a few hours of walking by the sea. I have to admit, it was very hard to stay awake! I didn’t particularly enjoy it and thought it was pretty boring. I appreciate the effort that went into it; the filmmakers spent months and months trawling through the archives to find the right material but there wasn’t really a storyline or anything. Apparently there will be some screenings further down the line with St Etienne performing live during the film which might make it a bit more interesting.